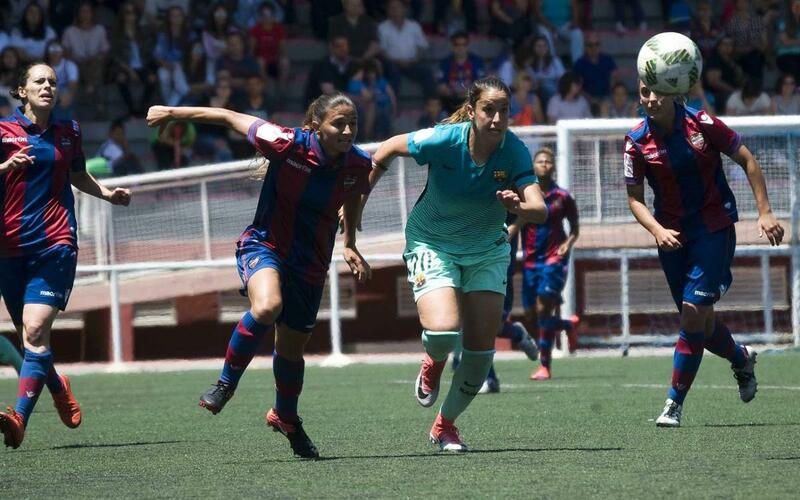 FC Barcelona Women gave it their all on the final day of the season but it was not meant to be. Xavi Llorens' side slipped to a 2-1 defeat away to Levante on Saturday as the league title heads into the hands of Atlético Madrid. Barça absolutely had to win and hope Real Scoiedad would do them a favour against league leaders Atlético, and the Catalans got off to the perfect start, as they found themselves 1-0 up after just nine minutes through Jenni Hermoso. But the joy was short lived as Nago made it all square on 24 minutes. After the break, Barça pushed for the winner but, in doing so, made themselves vulnerable on the break. Despite Barça's dominance, the hosts took the lead just after the hour mark through Prim to make the task even greater. Xavi Llorens had all of his attacking arsenal on the field to try to change things around - Ange Koko, Olga Garcia and Andressa Alves tried their best to get back into the game but it was not meant to be. Atlético won their match against La Reial, meaning Barça would have to make do with second place this campaign.